Greenback Estates Donegal Rental. This second floor unit is all on one level with no rear neighbors. There are natural maple laminate wood floors in the living and dining rooms, hallway and both bedrooms, plus beautiful porcelain tile in the kitchen and bathroom. The kitchen was just renovated with brand new flooring, cabinets, fixtures, granite slab counters and stainless steel appliances. The bathroom also has new tile on the floor and the shower walls, new fixtures and new toilet. 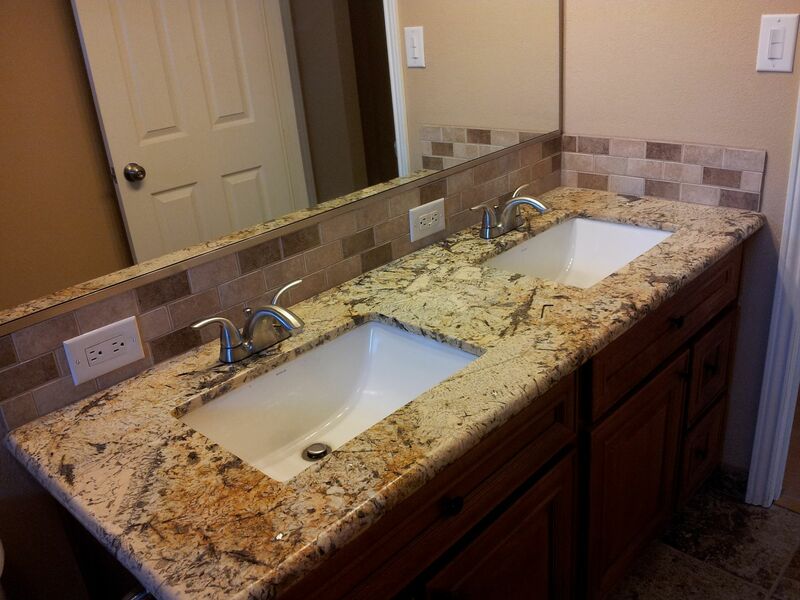 It also has a brand new bath vanity with granite slab counters and dual undermount sinks. This Greenback Estates condo is located near Auburn Boulevard between Greenback Lane and Van Maren Lane with easy access to Interstate 80. Nearby conveniences include fast food, gas stations, Walgreens, Rite Aid and more. 24 Hour Fitness is minutes away off of Auburn Boulevard and there is the Century 16 Movie Theater Complex near Greenback Lane. I-80, exit on Greenback Lane. Turn left on Auburn Boulevard and right on Donegal Drive. 6439 Donegal will be on your left side. Street parking is available or you can take the first left into the alley way and 6439 Donegal will be the second building on your right. Park in the driveway designated for Unit 4, then take the stairs located to your left. This entry was posted in Rentals and tagged in Citrus Heights, Greenback Estates, Rentals.